It’s the first Wing-It Wednesday of the season at SaskTel Centre! Buy a ticket at the door and receive a 2nd for only $2. PLUS, enjoy an order boneless wings with your choice of sauce from the concession behind section W for only $5! 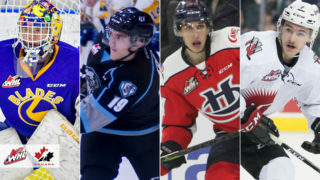 The Saskatoon Blades are back on home ice tonight as they play host to the Vancouver Giants for the first and only meeting of the season between these two clubs. 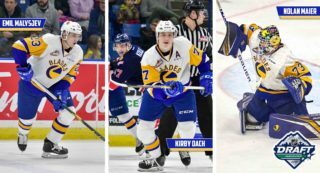 Ryan Kubic will be facing his former team for the first time since being acquired by the Blades prior to the start of this season. Kubic played 109 regular season games with the Giants, and still holds the team record for longest shutout streak at 207 minutes. 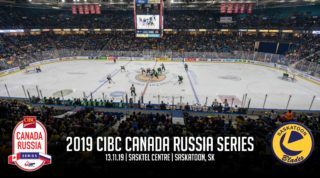 Saskatoon should be well rested having not played since Saturday’s 4-1 win in Red Deer, while the Giants are making stop number 5 on their Eastern road trip through the prairies. 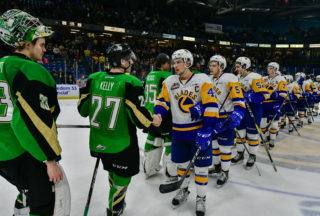 Vancouver played last night in Prince Albert and earned 2 points in a 5-4 overtime victory. For the Blades, they’ll have a chance to improve their penalty kill going up against the league’s worst power play from Vancouver which has only scored twice on 32 chances this season. 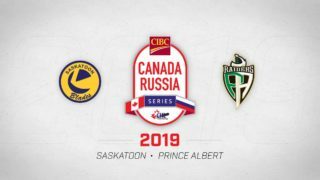 Saskatoon will also need to lean on veteran forwards Braylon Shmyr and Cam Hebig who lead the team in scoring and each have 6 points in their last 3 games. Kirby Dach has been absent for the Blades’ last three games due to injury, but could make his return tonight. Dach is expected to be a game time decision this evening coming on the heels of being announced to Team Canada for next month’s World U17 Challenge.